Earlier today, Morgan Stanley’s Adam Jonas cranked up his price target on Tesla to $US320 from $US153. If Tesla figures out how to cheaply store green energy, that’s a game-changer. 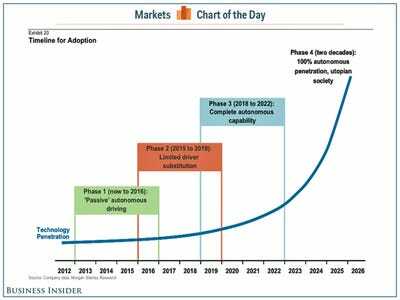 But if Tesla masters the self-driving car, then here comes utopia. 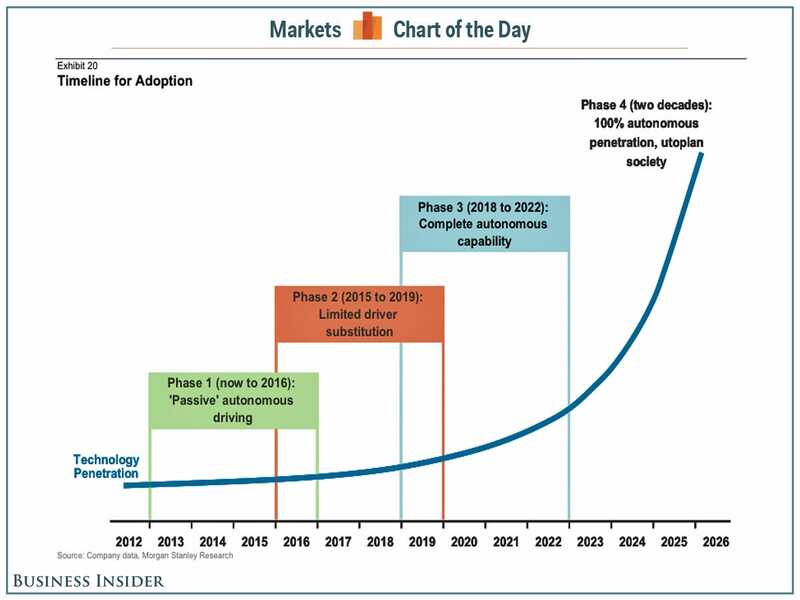 Jonas’ chart suggests we could reach this “utopia” by 2026. “Not every day you see a chart like this in a street research piece,” tweeted New River Investments’ Conor Sen who alerted us to it. Hopefully, he’s is right. Unfortunately, these types of comments from Wall Street are often signs that we are closer to the top of the market than the bottom.